Creating a wildflower spectacle in your garden from wildflower seed is not as difficult as it may seem. 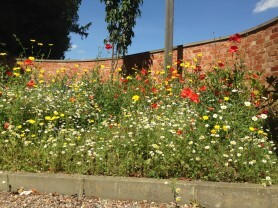 What you need is an infertile spot in the sun into which you can sow Phoenix Amenity Cornfield Annuals 100% Wildflower Seed Mix – to create the display shown in the picture (below). created a blaze of colour. Sowing wildflowers is unpredictable – which is a part of the surprise – until the flowers are in full bloom, no-one can predict the outcome. This year has been dry and reasonably warm in some areas of the country. 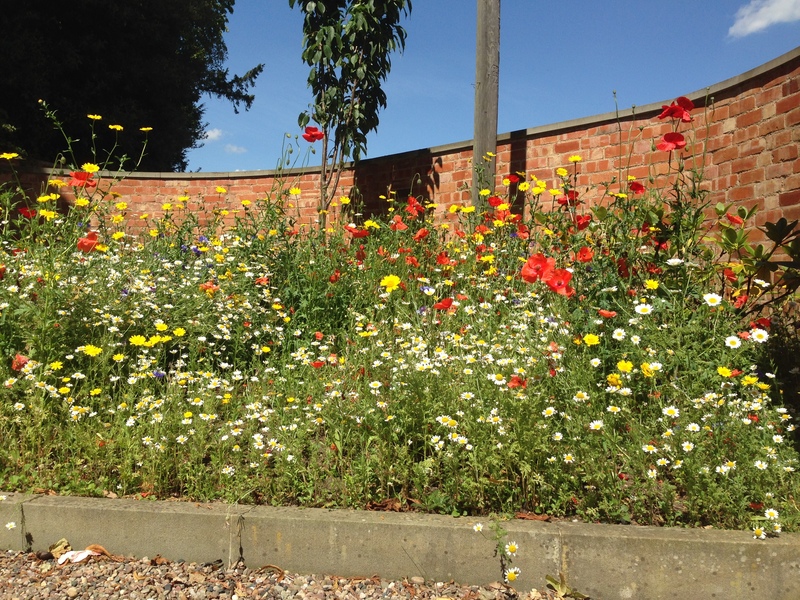 The lack of rainfall which might have deterred other plants from growing so well, hasn’t affected the wildflowers,the display here in Worcester is vibrant. Autumn is usually a better time to sow wildflower seeds – as over-wintering the seed in the ground will soften the seeds ready to take off in the sunny days ahead. A lot depends on the kind of weather too. As each year is different, the seasons can be late or early and rainfall changes from year to year – this will have an affect on the timing of the flowering season and which flowers dominate in the display. Sowing Tips: Sow the seed at 2g/m2 into weed-free tilled earth for best results. No fertiliser is required as wildflowers grow better in nutrient poor soil – then wait for the results!